This transitional chair highlights accommodating comfort. Showcasing rolled arms and exposed legs, the chair features a wide design design for extended support. Perfect for your living room, this chair goes well in most casual or transitional home settings. The 9255BR Transitional Chair with Rolled Arms by Simmons Upholstery at Royal Furniture in the Memphis, Nashville, Jackson, Birmingham area. Product availability may vary. Contact us for the most current availability on this product. Add a soothing influence to your home with these beautiful transitional furnishings. Exuding comfort and support, the collection showcases a variety of seating options. Completed with rolled arms and exposed legs, transform your living room with accommodating design. The 9255BR collection is a great option if you are looking for Transitional furniture in the Memphis, Nashville, Jackson, Birmingham area. 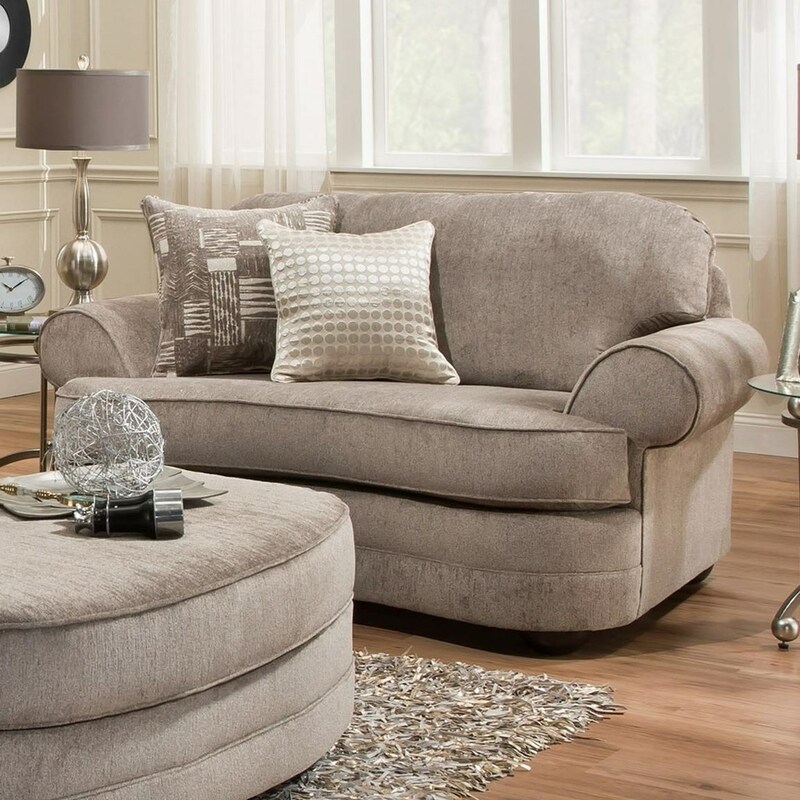 Browse other items in the 9255BR collection from Royal Furniture in the Memphis, Nashville, Jackson, Birmingham area.